Discussion in '2014 Indie Game Maker Contest' started by FantasyDR, Jul 1, 2014. Avatar system based on resources from RPGVX Ace. 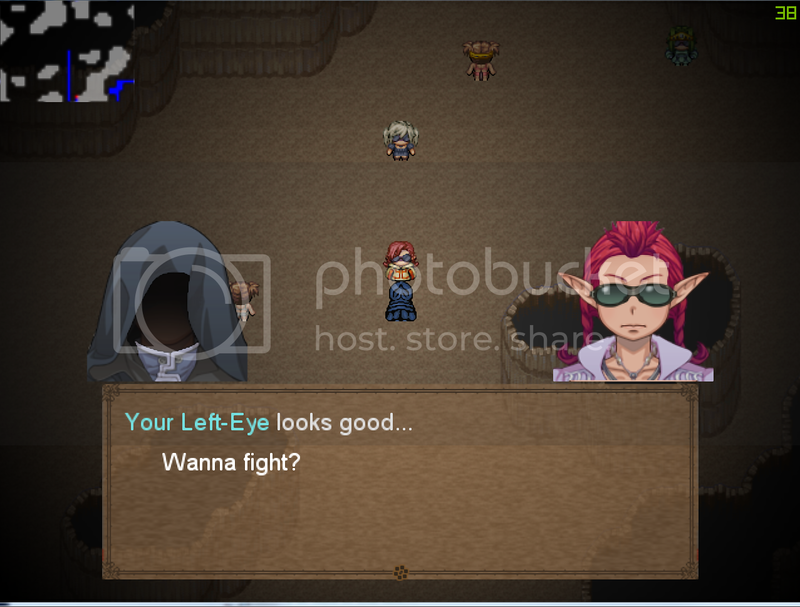 Here is a sample of the screenshot with image filter. 'Submit game' is just new ones. I got the reason. The link in the dashboard is \add\<game_id>. My friend told me he cannot understand the logic of 'ABCXYZ' => 'ZXCASD' mapping. So I upload a new link with this minor fix, to avoid confusing about the RMXP key mapping. +Concept of reclaiming features is neat. -Maps are terribly bare, unnecessarily big and lack any direction. I assume they’re automatically generated, but if the result is so boring and bland, WHY have them. -Combat moves use an annoyingly demanding timing combo system. Maybe I’m just not good at it but I had no will to bash the combos so quickly. It was annoying. -Combat is not FUN. It’s just bashing keys. There does not seem to be any strategy involved. To the developer: This game seems to be exclusively gameplay. This is fine, but it’s not FUN ENOUGH by itself to warrant a game. This would work as an early alpha prototype, stripped of all content, but definitely not as a standalone game. Our project finally got 9 votes and a video review, and I'm quite satisfy with this results. LoL. Yes you are correct, this is definitely not a playable game, but a early alpha prototype. A tech demo I would say. I never got time to finish it. I thought I would get enough time to polish it after the IGMC2014, but I'm wrong again. I will try to polish/finish it later, hopefully there will be something in future.